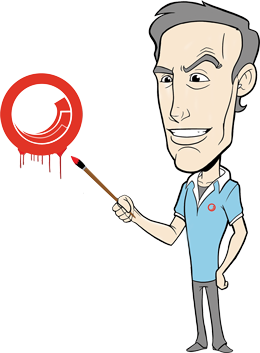 I am a Sitecore MVP artist. Painting with C#, MVC, HTML5, Responsive Web Design, AngularJS, jQuery and Web Forms. My company uses Email Experience Manager (EXM) to send several million emails a day, and we have been facing issues where our large campaigns would pause mid-send. We have a scaled EXM environment with 2 dedicated dispatch servers, and a separate SQL Server, all with appropriate resources so the hardware was not an issue. We also ensured that databases were kept in tiptop condition (proper maintenance plans with stats being updated), and configurations where optimal for our environment. After digging in, I discovered that the pausing was caused by SQL deadlocks due to the massive amount of records and CRUD activity on the EXM SQL databases. ERROR Transaction (Process ID 116) was deadlocked on lock | communication buffer resources with another process and has been chosen as the deadlock victim. Rerun the transaction. Message: Transaction (Process ID 116) was deadlocked on lock | communication buffer resources with another process and has been chosen as the deadlock victim. Rerun the transaction. How does this new data provider fix the problem? The new data provider introduces efficient SQL deadlock handling. When a deadlock is detected, it will wait 5 seconds and then retry the transaction. The code will try to execute a deadlocked transaction 3 times. Defaults are set to wait 5 seconds for the retry, and the max retry attempts is 3. The DelaySeconds and RetryCount settings can be modified to suit your needs.